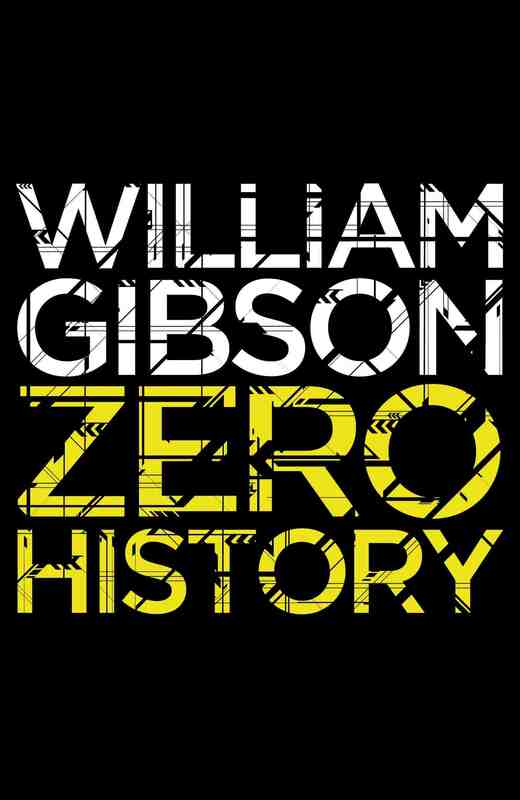 A couple of weeks back I posted a promotional video featuring William Gibson reading from his new novel, Zero History. At the time I mentioned I was reviewing it, so I couldn’t really say much about the book, but I’m now free of that restriction because the review is in this morning’s Weekend Australian. Obviously you can read the review in full over at The Weekend Australian on my Writing page but in case it’s not clear on the face of it, I liked the book a lot. As I say in the review, I think both Zero History and its predecessor, Spook Country, can be at least partly understood as a sort of literary culture jamming, clever, essentially parodic attempts to expose the inner workings of what McKenzie Wark once called the Military-Entertainment Complex (if you haven’t seen it I urge you to check out Ken’s experiment in crowd-sourced cultural analysis, GAM3R 7H30Ry, published in conjunction with The Institute for the Future of the Book). I think there’s probably a level at which this playfulness is now beginning to subvert the capacity of Gibson’s novels to do the things he wants them to do. Interestingly, the problem isn’t that the playfulness necessarily detracts from the more serious questions the novels explore, it’s that the business of the novels, and more particularly the relatively conventional narrative structures Gibson employs to play out their plots, hold the books back from really cracking open reality in the way I think they want to. I’ve said before that I think Gibson bears comparison to Delillo, but reading Zero History I did find myself wishing it would show some of Delillo’s preparedness to allow the textures and conceptual armature of the novels to become an end in themselves, or recover some of the more formally innovative qualities that make the final instalment in Gibson’s Bridge Trilogy, All Tomorrow’s Parties, so exciting. But by the same token, it’s this quality that makes the book so satisfying at an emotional level. For all his fascination with textures and technology, Gibson is a surprisingly gentle and human writer in many ways, and that quality is on full display in Zero History. It’s not just that there’s real tenderness in his depiction of the recovering addict Milgrim’s rediscovery of a larger world, or that Gibson writes with considerable empathy and acuity about addiction, it’s that he grants the reader the not inconsiderable satisfaction of seeing the heroines of Pattern Recognition and Spook Country, Cayce and Hollis, find a measure of happiness. As I say, you can read my review in full at The Weekend Australian. But because I realise I’m now one of the few people who have reviewed the entire trilogy, I’ve also uploaded my pieces on Pattern Recognition and Spook Country (originally published in The Sydney Morning Herald and The Australian Literary Review) to the site. And if that’s not enough Gibson for one morning, you might want to check out the promotional videos for Zero History and Spook Country. Or visit the man himself at William Gibson Books or on Twitter. Or, if you’d like to take a step sideways, check out Gibson’s introduction to photographer Greg Girard’s wonderful book, Phantom Shanghai.